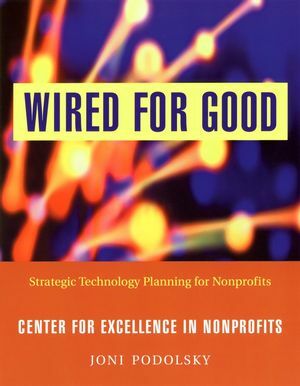 Wired for Good is a nuts-and-bolts guide to strategic technology planning for nonprofit organizations—no matter how large or small. 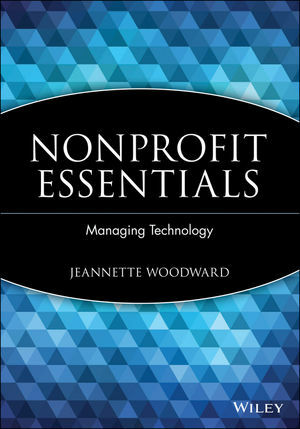 This book leads nonprofits through a planning process that will help them align their technology use with their mission and strategic goals, determine what the appropriate technology tools are to meet those goals, and how the technology will be implemented and supported over time. This essential guide also shows how to win support for a strategic technology plan within an organization, evaluate a plan's effectiveness, and help staff and other stakeholders adapt to the changes new technology will bring about. Joni Podolsky is the founding program director of Wired for Good, a program of the Center for Excellence in Nonprofits in San Jose, California. As program director, she helped Silicon Valley nonprofits use technology strategically to improve their effectiveness by leveraging the community expertise and resources necessary to assist them in the development and implementation of strategic technology plans.